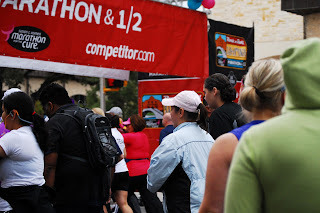 This is me and my sis at the starting line. This is me and my sis at the finish line of the San Antonio Rock 'n' Roll Marathon and 1/2. They ran out of medals by the time we crossed but I had my husband holding a red bull to give me at the end of the race. 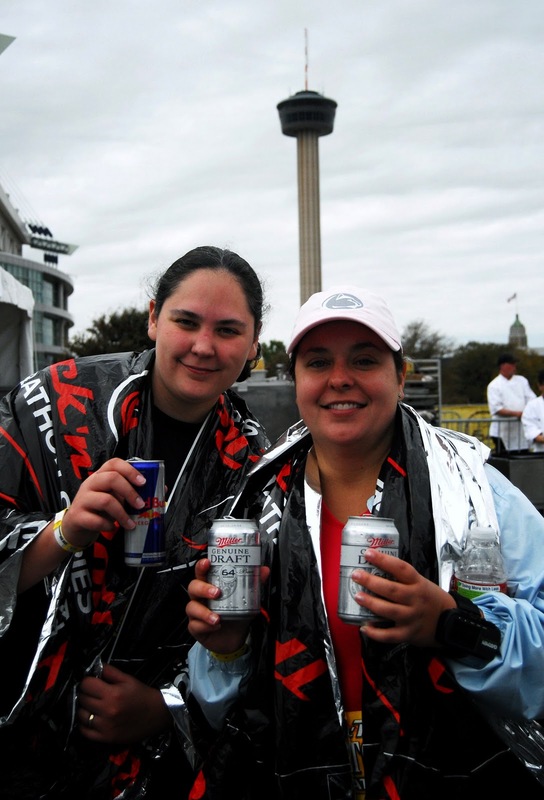 Heheh, finishing the race and having the Red Bull in hand made me happy enough. :) They said the medals would be mailed to us. My sis and I will have to take pictures together once we get them.